Today is International Women's Day. It is a global day that celebrates the economic, political and social achievements of women from the past, the present and the future. This year on International Women's Day, three bloggers are out in Tanzania finding out how donations to Sport Relief have helped create female entrepreneurs and "lasting change" for themselves, their families, their own communities and beyond. "The woman in this picture is Lucy. Through mentoring and training with the Gatsby Trust, Lucy has gained the confidence to develop her business and to network after moving from the countryside to the city. She has her own craft and textile business and looks forward to expanding her business by training other women." Isn't that inspirational and innovative? You can help projects such as this in the UK and worldwide by reading about lasting change on the Sport Relief website - you can also find out how to join in and donate on there too. You can also raise awareness by sharing this blog post using the buttons at the top or bottom of the page and by searching for the #lastingchange hashtag on Twitter or the #lastingchange trend on Facebook. And, finally, so that you can see that continuous support and innovation are offered, here's my digital postcard from Ghana last year. 5. Lucy, sponsored by the Gatsby Trust. No explanation needed as you have just read why. 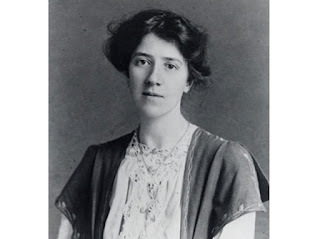 I explain most of it in the blog post I wrote for the banknotes campaign last year but basically she was writing about equality and promoting practical advice about sexual relationships over 100 years ago. She had progressive views on abortion, birth control and science. Amazing! A woman with such strong views. Clothed in expensive attire yet swears almost as much as me. Affectionate yet brash, truthful yet emotional and sympathetic... and so in touch with the relationship with her husband that they almost finish each other's sentences and can slag each other off whilst retaining the humour. Something that is needed so much in a marriage and partnership. As I mentioned in this post, Jackie was an innovator and a forward-thinker. She championed my return to work after 14 years as a SAHM (stay at home mum) and pushed me to study for my degree with the Open University. Shel also helped me to develop and implement any ideas that I had for the future of the organisation. None of the elder women are with me any more in reality but they are with me in spirit. They are all the reason that I am the person I am today. My grandmothers each have their own inspirational stories. 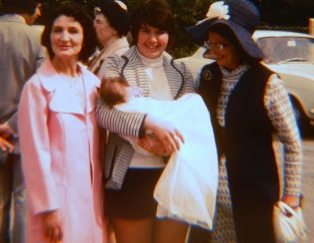 I don't think I have written too much about my mum because even after ten years, it's hard to put my feelings out there. However, you can see where I get my writing style from by reading this piece my mum wrote many years ago. In the here and now, I find my daughter and my granddaughters also very inspirational in many different ways; my daughter for being the independent woman that she is and my granddaughters for being the individual little souls that they are.